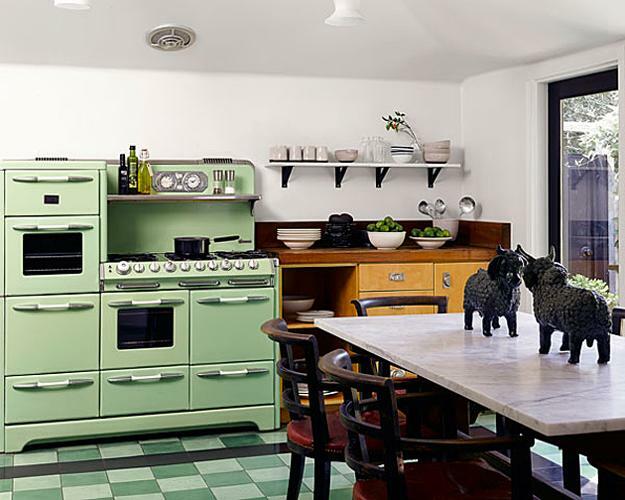 Green colors, from light and pale to rich and neon retro green hues, are great for creating unique and modern kitchen design. Green colors are relaxing and pleasant. 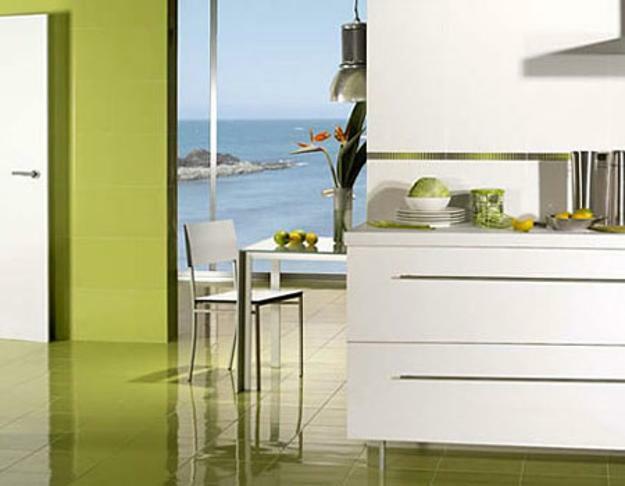 Adding green color to modern kitchen design and decor brings a fresh look and natural feel into modern homes. 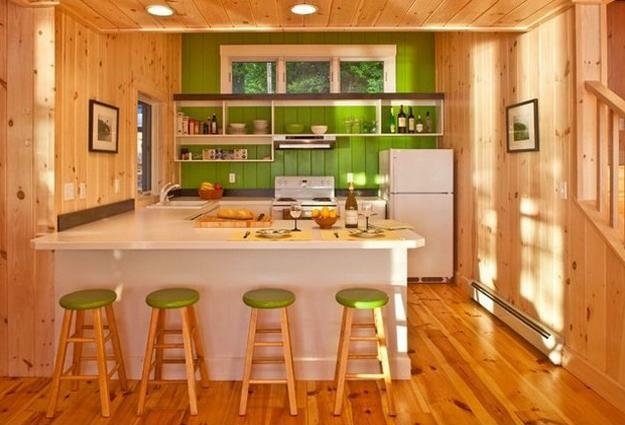 There are a few stylish ways to use green color in kitchen design and decorating. 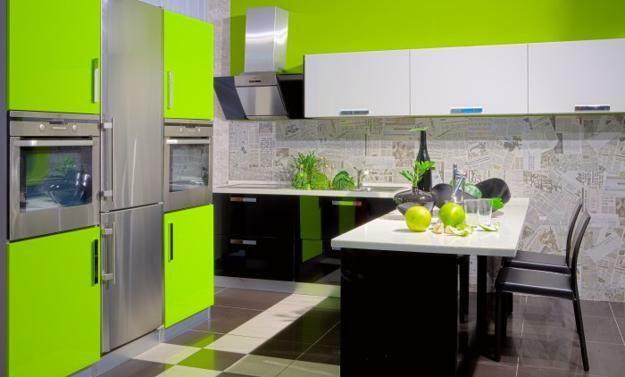 Lushome shares a wonderful collection of modern ideas that help stylishly inject green colors into modern kitchen interiors. 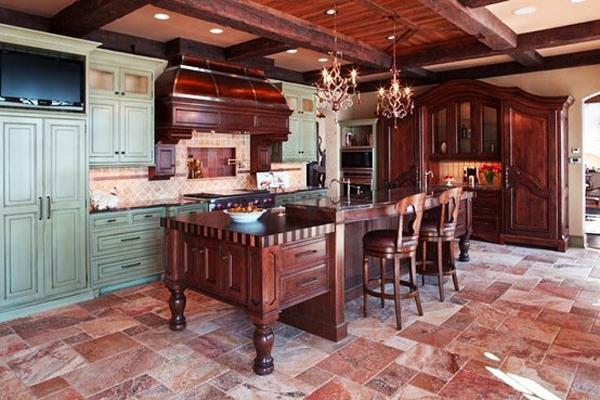 Green colors create trendy kitchen decorating color combinations. Modern ideas and color design trends bring yellowish green color shades and pastel green tones, pale aqua green and fresh green colors of leaves and grass. 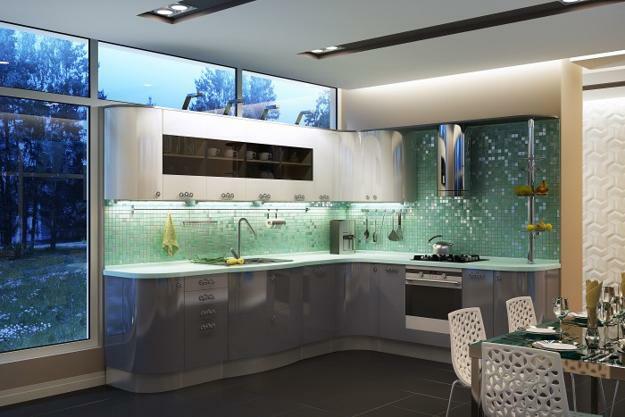 Teal and lime green colors, rich emerald green, neon and pastel green tones, grayish and bluish green hues are especially modern for kitchen design and decor. 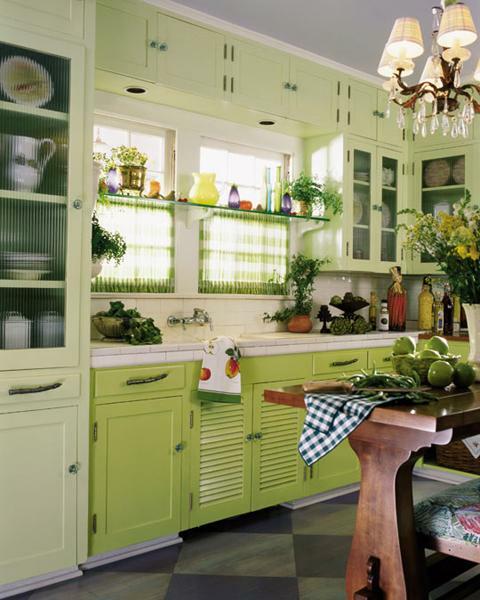 Painting kitchen cabinets or walls your favorite green color, using green wallpaper patterns for wall or shelved decorating, adding wall tiles in green colors or decorating your kitchen interior with green accessories, like window curtains and seat pads are wonderful way to infuse these beautiful and stylish colors into your modern kitchen design and decor. 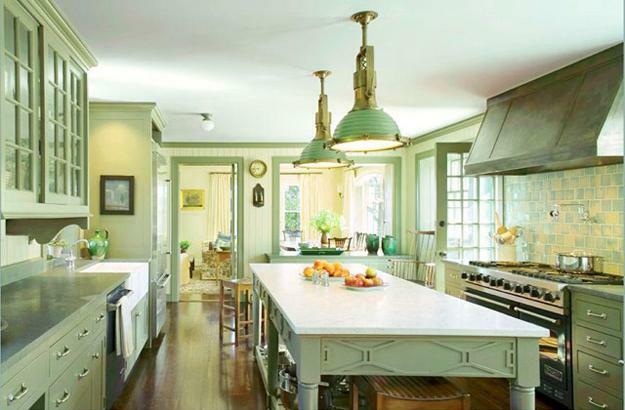 Creative combinations of green colors with neutral colors offer wonderful kitchen decorating color schemes that turn modern kitchen interiors into bright and relaxing spaces. 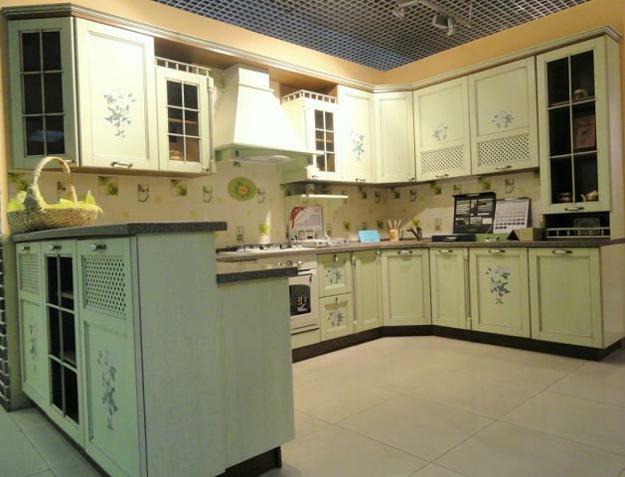 Light and pale green colors, especially pastel tones, are ideal for creating a soft, pleasant and inviting modern kitchen. 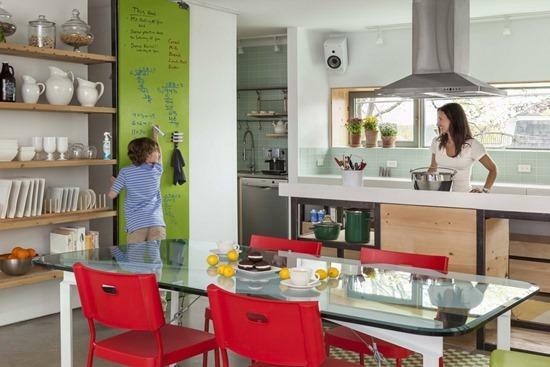 Light green color for your walls is one of the options. 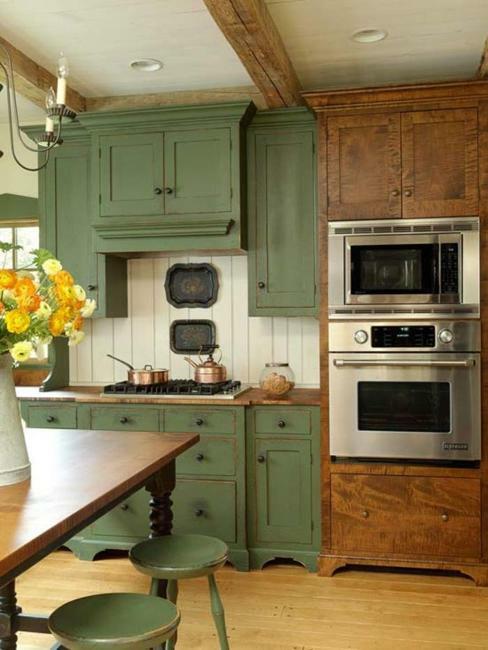 You can combine green wall paint with white paint colors to achieve elegant and bright kitchen design. 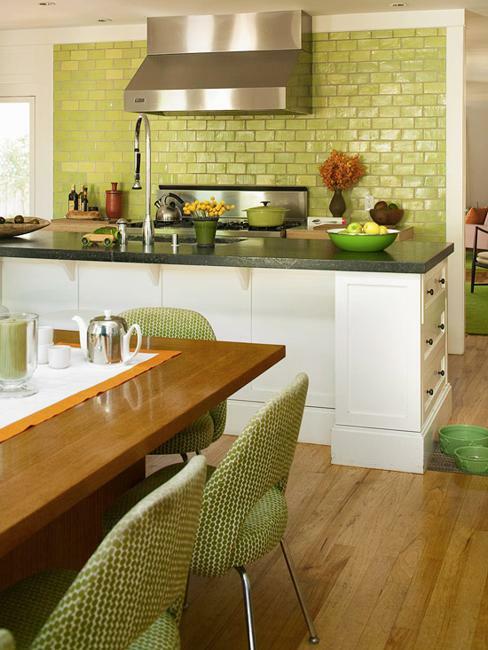 Light green kitchen cabinets and accent walls with green wallpaper patterns, combined with creamy white decorating ideas are ideal for light and airy modern kitchen design. 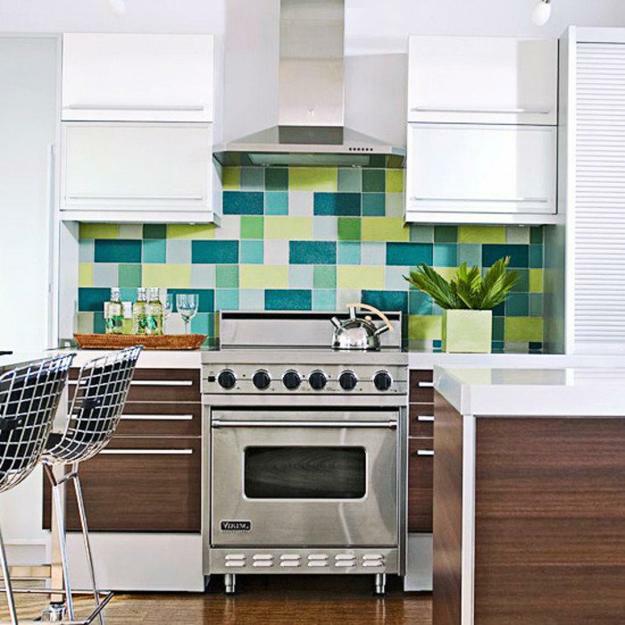 Modern wallpaper patterns in green colors are ideal for adding unique character to your kitchen interior and change the mood creating calming space. 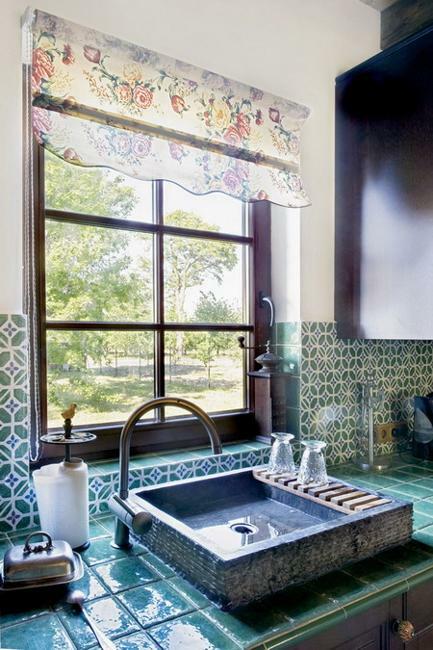 Modern wall tiles in green colors are great for bringing a splash of color into your kitchen. 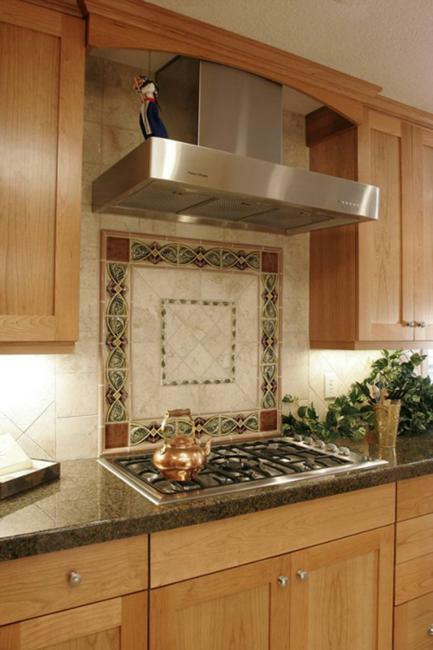 Creating bold decoration patterns for backsplash designs or using green mosaic tiles for wall decoration are modern ideas that personalize your kitchen design in elegant and practical style. 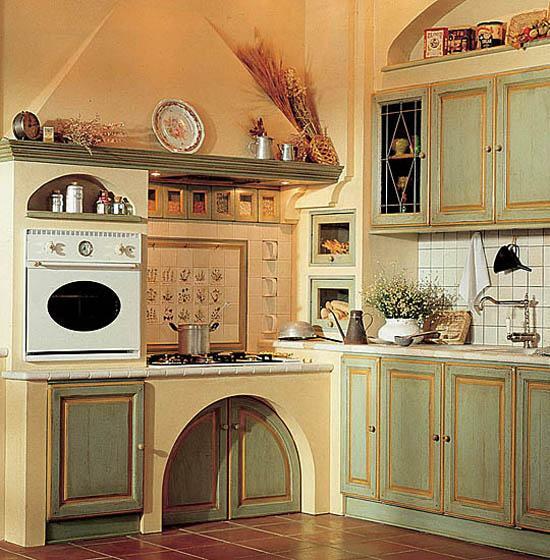 Red colors and yellow color shades, all brown colors of wood create beautiful kitchen decorating color schemes with green colors. 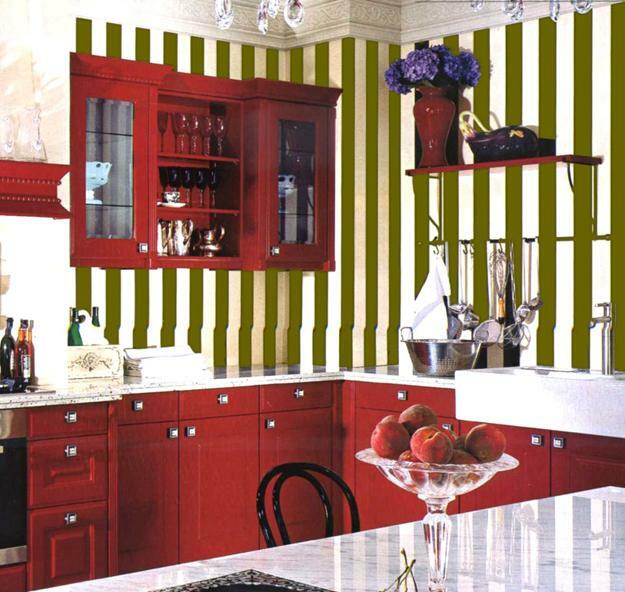 Even small accents in red colors make modern kitchen design and decor look dynamic and energizing. 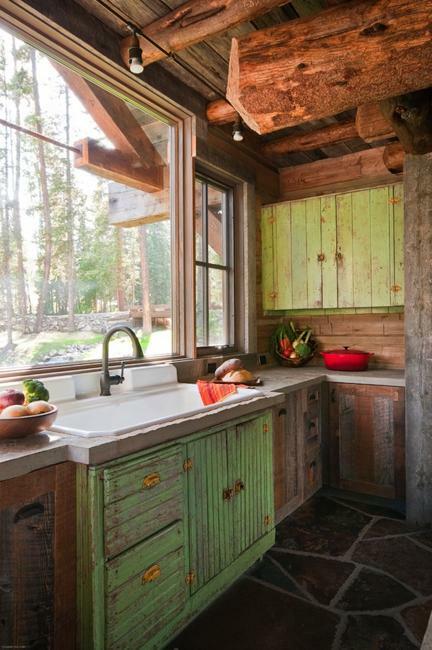 Natural wood colors works great with all green hues, filling modern kitchen interiors with comfort and warmth. 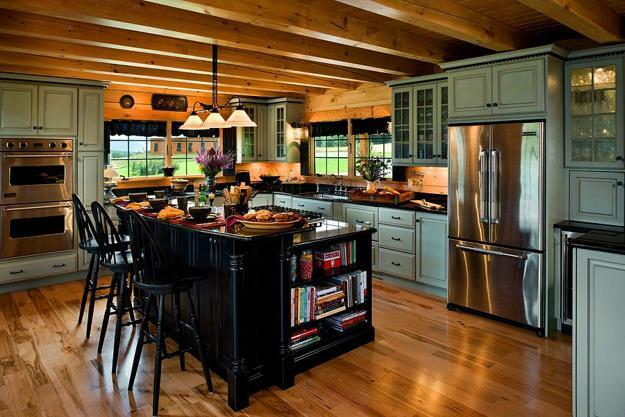 You can create an interesting visual focal point in your modern kitchen by adding kitchen appliances in retro style and green color or painting your kitchen island green color. 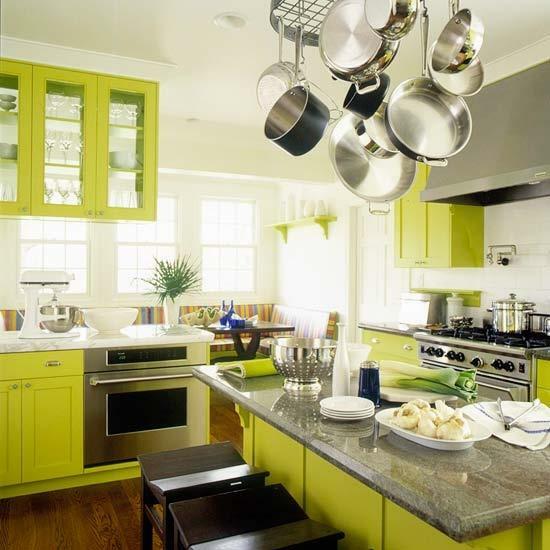 Green painted wooden furniture, wall shelves, window and doors frames painted light green color work as beautiful accents that add personality to your modern kitchen design and decor. Kitchen decor accessories, tableware and decorative fabrics, utensils, lamp shades and kitchenware in green colors or indoor plants are a cost-effective option for adding green color to your modern kitchen design and decor, while finding the perfect balance for green interior decorating color schemes and giving modern kitchen interiors a unique and stylish look.